C.K, renowned for its innovative cable routing solutions, is expanding its range with the new C.K Gloworm Cable Router (4m), perfectly designed for running cables around tight corners, through insulation filled walls, underneath flooring and across ceilings. The Gloworm’s clever glow-in-the-dark phosphorescent polymer construction aids routing in low light conditions and easier navigation towards exit points. When charged under natural light, Gloworm provides an effective glow for up to 30 minutes. Short tight runs can often be tricky, even when using traditional cable routing equipment such as rods and draw tapes, but the new C.K Gloworm retains a natural curvature for perfect routing around short tight bends. When the need arises, it can also be straightened out for any straight line runs. 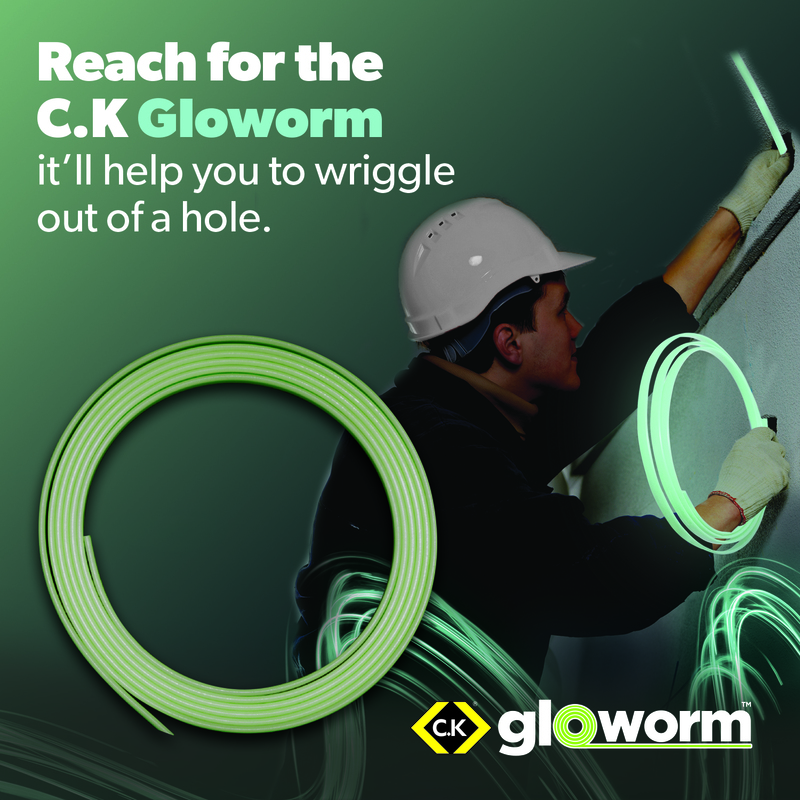 So when other cable routers fail, the C.K Gloworm might be able to help you wriggle out of a hole. For further information, visit www.carlkammerling.com or call 01758 704704.